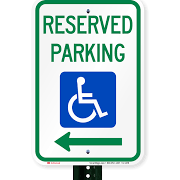 Under Act 1003 of 2017, the Arkansas General Assembly established a mechanism for a person to report the suspected misuse of a disabled license plate, disabled placard, or a disabled parking space to the Office of Motor Vehicle of the Arkansas Department of Finance and Administration. Complaint must be based on fact rather than suspicion. 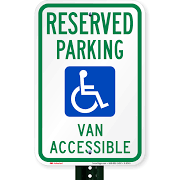 Please remember not all disabilities are apparent nor does every individual with a disability use a mobility device such as a cane, walker, scooter or wheelchair. Never confront any person you think may be abusing the program. If the situation requires immediate attention, please contact your local police department. 1-866-NOPARK5 THANK YOU FOR REPORTING! 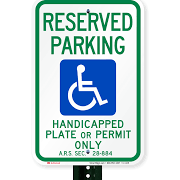 All recorded incident data is collected to further the cause in advocating Arkansas Laws, educating those with parking privileges and those that continue to violate the rights of Arkansans with disabilities.